Cassian / Exile Human Lore Compendium! Forums » Roleplaying Resources » Cassian / Exile Human Lore Compendium! Credits: SPECIAL thanks to Felix for sending me his compliation of Cassian Lore to better outfit this guide! Welcome everyone to my quick, but comprehensive guide to humanity in the WildStar universe. As one of the more complicated races int eh game I've created this guide along similar lines to the other lore guides / compiliations created by members of WSRP! This guide will feature a few key sections! First it will give you a run down of Cassian society with information on the major social classes / castes / racial groups. Then we'll talk a bit about the Humans of the Exile Faction and where they come from. In totality this guide exists here to help everyone understand where humanity came from and where they have gone since the Eldan lifted them up! Note: Remember if you are going to RP a defector on from the Dominion face death (Source). About 2,000 Years Ago - Rapid technological on Cassus leads to the discovery of space flight and beginning of interstellar exploration catching the attention of the Eldan. 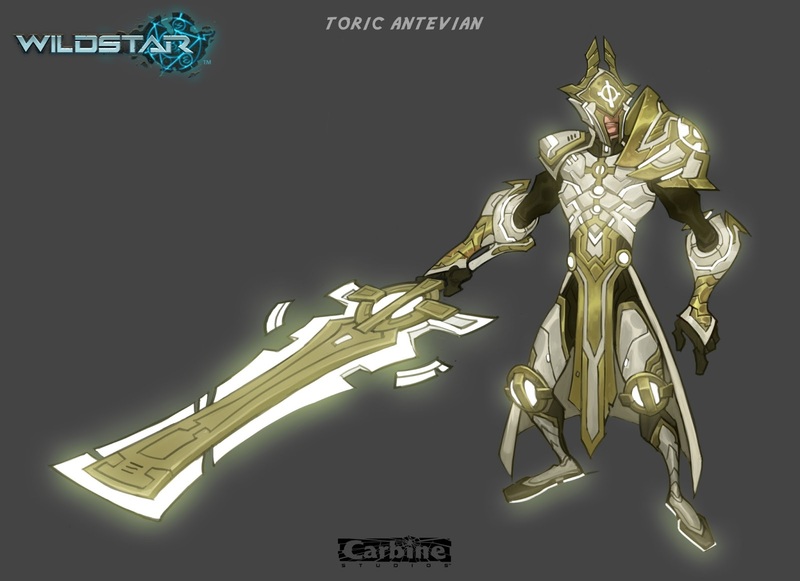 292 AE - Dominus the Half-Blood first of the Luminai perishes, his child Azrion rises to lead the Empire. Dominus other children, "the Scions" assist Azrion in leading the Dominion and eventually come to found the Great Houses. 1376 AE - Emperor Jarec of House Azrion releases the Vigilant Declaration which sets down the unified Dominion religion deifying the Eldan. The Declaration also leads to strict breeding and marriage laws relating to the Luminai which causes the schism in Cassian society leading to the creation of the High Born and Low Born classes. 1378 AE - Discontent within the Cassian civilian population leads to rioting. Serrick Brightland, a military officer of the Dominion navy openly rebels leading to the Cassian Civil War. Eventually Serrick is harmed a desperate strategy to save the rebel fleet, but is placed in cryo sleep. The Exile faction is created. Tresayne Toria – A renowned Swordswoman who was taken by the mechari to Nexus after they first arrived on Cassus, her actions led to the arrival of Dominus the Half-Blood. She is a major figure in the Cassian religion created around the Eldan. Dominus the Half-Blood – The First Luminai Emperor and genetically created Eldan / Human half-breed (Genetic Material taken from Tresayne Toria). His children the “Scions” would come to found the ruling Luminai lineages known as the Great Houses. Azrion the Conqueror – Son of Dominus and second Emperor of the Dominion he fought High Clan Lord Zhur on the Field of Kazor. His actions brought the Draken into the Dominion. His legacy is House Azrion. Jarec of House Azrion – A Luminai Emperor who passed the Vigilant Declaration in 1376 AE in the supposed ascension of the Eldan into Godhood. The Declaration would come to dictate Luminai Breeding Laws and lead to the creation of the High Born and Low Born classes. Serick Brighland – A former highly decorated admiral who captained the famous Star of Dominus flagship of the Dominion Fleet. He would come to form a government in exile and fight in the Cassian Civil War. He was harmed in battle and was placed in Cryo, his flagship was eventually renamed the “Gambler's Ruin” and became the Arkship of the Exile fleet. Note: Some of the information above will be repeated in the section on the known Emperors of the Dominion. Dorian Walker – The Famous Explorer who discovered the planet Nexus. 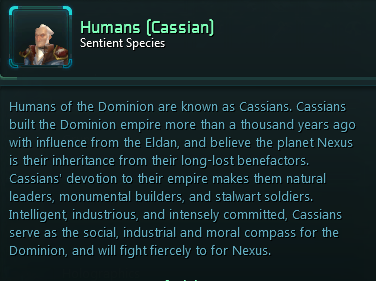 Cassians consider themselves to be the chosen of the Eldan to lead the galaxy into order. After gaining the eye of the Dominion the Cassians came to rule the galaxy spanning empire known as the Dominion under the rule of the Luminai Empreror. They are the social, moral, and industrial compass of the Empire. Note: Click here for an example of Cassian musci. The Cassian's primary faith and the major faith of the entire Dominion is the Vigilant Church (Thread by Tawa). Cassian society to our knowledge is split into three general social classes one of which (the Luminai) is falls under a code of restrictive breeding. Cassian citizens on Cassus were quite privileged but even they were pushed which led to the event known as the Cassian Civil War. Note: Should be noted slightly that at least the Highborn perhaps using Malvolio Portus from the “Dirty Little Secrets video are annoyed or would like to just ignore the Chua. The Luminai are the descendants of Dominus the Half-Blood who hold an idealized human physicality with noted alien (almost Eldan) facial features. Luminai are the top caste of Dominion society and claim descent from the Children of Dominus known as the “Scions” (Source). The bloodlines of each Scion after the passing of Dominus organized themselves into the Imperial Lineages known as the Great Houses. The breeding and maintanence of the “sacred Eldan” blood of the Great Houses was laid down in the Vigilant Declaration in 1376 AE by Emperor Jarec of House Arzion. Not only are the Luminai the blood of Dominus, but also the legendary Tresayne Toria as it was her genetic material which led to the creation of the first Luminai Emperor over a thousand years ago. When traveling in public the Luminai often wear ceremonial masks and robes. 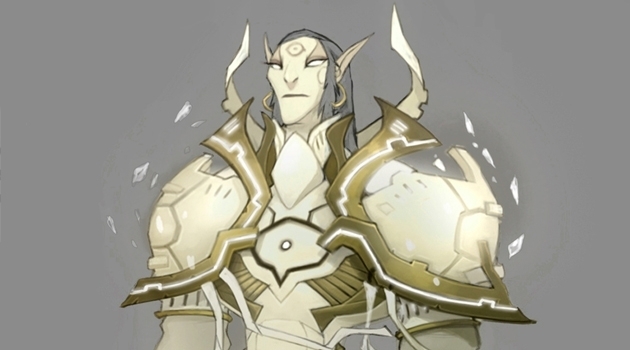 Another aspect of the Luminai is that they are fairly long lived with Dominus reportedly having lived for three centuries before passing on the rule of the Empire to his son, Arzion. The Great Houses are also known as the -Seven Houses- (Source) (Seventh House not yet named). SS...the Luminai Houses rule the Dominion. Basically, they are considered gods...elevated because of the Eldan blood in their veins. Highborn families swear allegiance to a given house, and benefit from that relationship. Within the High Born there exist a group of important families known as the Great Families (the Zins being one) (Source). Although not having official "Houses" like the Luminai the HIgh Born will sometimes refer to their families as "Houses" in a collective sense (its a colloquialism, not an official term) (Source). Note: High Born are not entitled nobility, but they are like America's Old Money, or Robber Baron families. Wealth and prestige are behind their names, and their blood. Can they order someone to hang randomly no, but they do get respect for their breeding and service! (Observation I've made to consider). Alignment with the Great Houses of the Luminai often grants services, rights, honors, and priveleges to Highborn families. Older members of the family are considered to be purer via their long life thanks to greater amounts of Eldan genes. Many families are often associated with specific services within the Dominion itself such as the military etc. (Source). The Six Scions represent the six Vigilant Virtues of the Vigilant Church (Source The Church is led by High Sentinel Varonia Cazalon with the Radiant Legion (the military arm), led by Toric Antevian. "The force necessary to impose your will." "The clarity of mind to see past your fear." "Judging fairly and distributing consequence." "Noble intentions guiding a flawlessly honest spirit." "The fusion of your being with a singular purpose." "Exploring the depths of reality and collecting its marvels." The Cassians are the founders of the Dominion and their Emperor leads the grand galatic Empire. However, there are factions and groups within the Dominion which do not fall under direct Cassian perview outside of that of the Luminai Emperor himself. The Dominion Military has a similar structure as found in modern western countries on earth. (Source). The Swordmaiden Order once led by Tresayne Toria herself is a sisterhood of highly trained blade wielders that is led by the Swordmaiden General (who answers to the emperor himself). They are trained in sword techniques and battle field tactics, and their history dates back to the Cassian Commonwealth. (Source). Exile Humans are a rough and tumble bunch who formed from resistance forces founded during the Cassian Civil War. 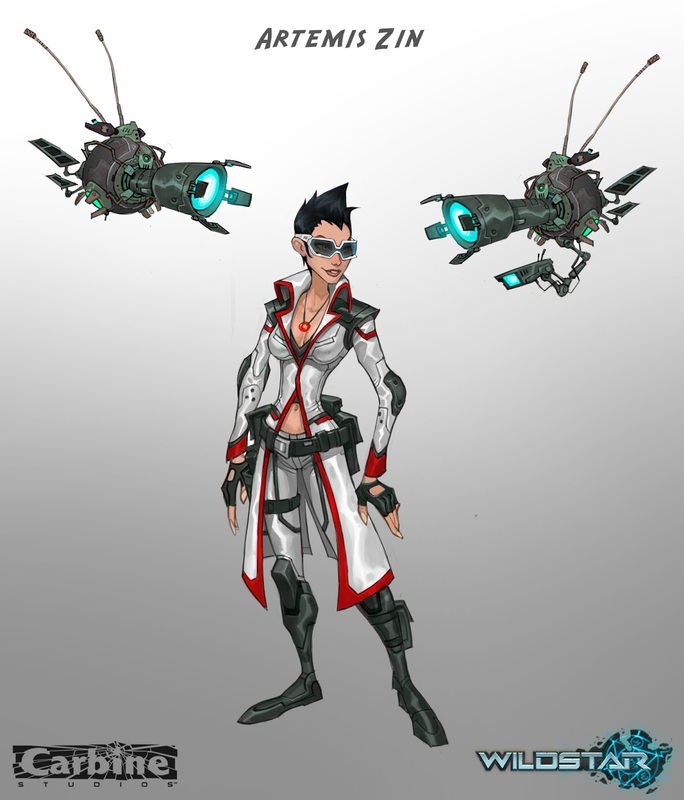 Seeking to create a new homeland on Nexus they are die hard rebellious types that outright dislike the Dominion and its policy's. Note: A good example of some Exile music can be found on Jeff's SoundCloud with the song ”What We Now Call Home” being a good example. To under stand the social and genetic division from the Cassian general population it has been nearly three hundred years since the Cassian Civil War occurred in 1378 AE (Source). Kit in the Meet the Exiles Video speaks with a “Western Twang” using words such as “howdy” etc. She also mentions possibilities of “inbreeding”. To our knowledge Exile Humans have dropped the “Vigilant Faith” as part of their general rejection of the Dominion society. They also are a pretty varied bunch when it comes to dealing with other races. They do seem to be slightly uncomfortable with the Mordesh as seen in the Meet the Exiles and the “Dirty Little Secrets Video”. For years onthe world of Cassus the humans enjoyed a tradition that mixed priest, historian, and storyteller into one profession, that of the Chronicler. A Chronicle trains their apprentices carefully requiring them to memorize information and even sending them out to learn new stories. Unlike the Tales from the Fringe the Chronicles of a Chronicler are created for accuracy and remembrance. Usually hand written first and then recorded digitally and passed around to all other communities (they are considered communal property of all Exiles). A Chronicle isn't just history however and can also serve as a history of the day for local Exile communities (Source. Seek out the truth of legal matters. Record stories of life of the community and going on. Teach people about where they came from. Ranching on Nexus is a common means for Exile humans to make a living (Source), and often include the raising of Roan, Oxian, and Rowsdower. Dagun, the wolf-like hounds of Nexus, are often a threat to Rancher livestock, and are difficult for average folk to tame (usually used by slavers and Marauders). There are sevearal factions found within the Exiles not all of which are led by Humans. If I've missed anything in the above please please respond and link me sources so we can make this guide as accurate as possible :3 Note there will likely be some slight differences and interpretations for the lore so I will try my best to provide as much wiggle room in that regard as possible! A quick treatise on human Community Comparison! 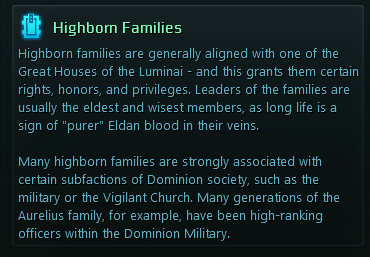 Cassian lore mentions the existence of "Farmholds" being controlled by families, and in Auroria it appears that several lowborn are working for or serve a top "Highborn" family. However this is more of an administrative set up and not a feal lord overseeing his "serfs". The point here is that Cassian leaders are "appointed" or "assigned" to their position as part of their duty to the Empire. "Exile human communities are democratic, with mayors and other officials elected to power by the people. This practice has roots in the ancient Cassian Commonwealth that existed long before the Dominion, and favors a grassroots political ideology that emphasizes local government. Communities vote for their own leaders, including peacekeepers to maintain law and order and a chief mechanic to upkeep their equipment. Most personal disputes are mediated by the chroniclers, who serve as mix of sage, priest, and historian. They also officiate weddings and funerals. In the rare case that a higher authority is needed, the mayor may call in assistance from an itinerant Judge – the final authority in the Exile judicial system." 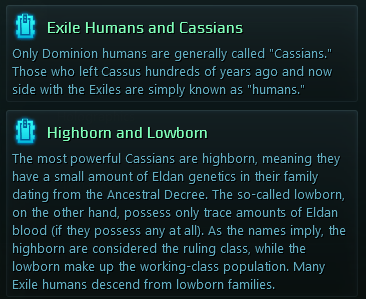 Exile Humans are descended from the Lowborn population and rose to see the Eldan as a Classist entity within Cassian society. This is obvious in their like of loose government (they don't have a singular central government, rather an "accord" with other local towns), and they elect their leaders. For further discussion check out some discussion on Dominion Hierarchy. SS...the Luminai Houses rule the Dominion. Basically, they are considered gods...elevated because of the Eldan blood in their veins. Highborn families swear allegiance to a given house, and benefit from that relationship." Updated information on Luminai and the Highborn! Didn't we already know that? New name so it's easier to note this is the Lore Compiliation for humans! 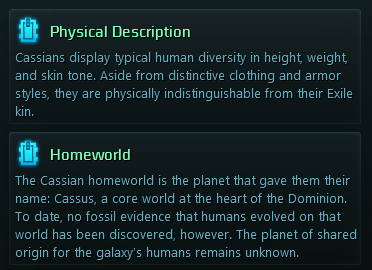 Are we still not sure how the Cassian social system is structured, like is a merit based advancements, bloodline dependent, etc.? I just ask since in the Massively article concerning the race, it mentions that no one is certain what that is yet. Luminai Great Houses rule the Empire basically. The Dominion in general seems merit based with a Draken leady the Imperial Legions. High Born gain their privilege from the House they serve. Its kind of semi-feudal in that respect. Lowborn areu those with no Luminai blood and likely they are just a lower class.